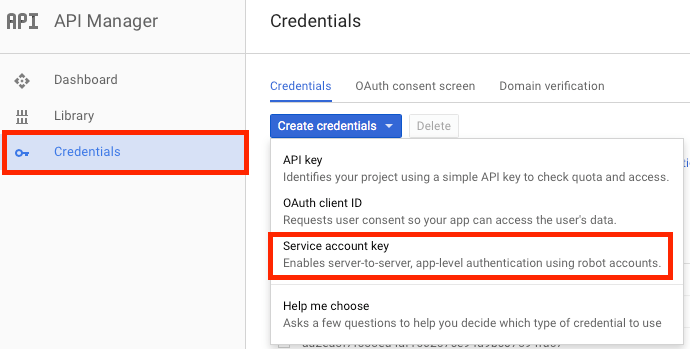 In this article you'll learn how to create a credential in Google Compute Platform to authorize Moss to launch new servers on your behalf. 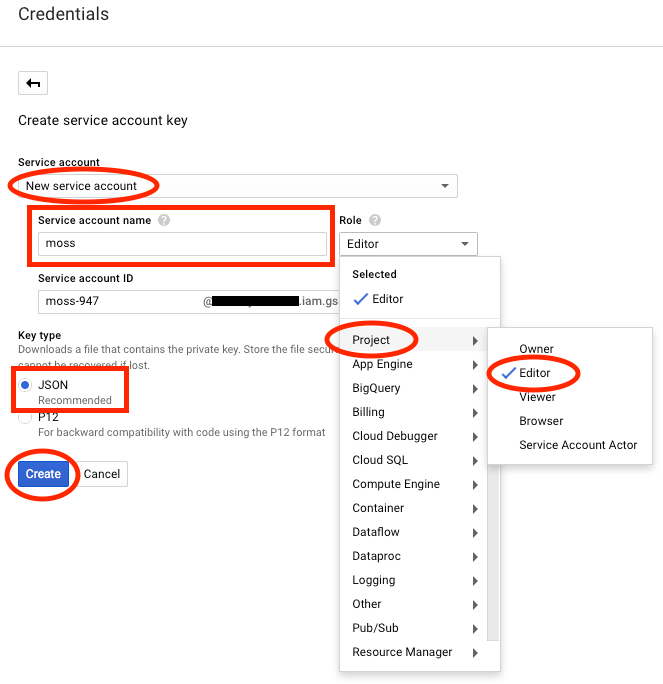 In the following we assume that you already have a Google Cloud Platform account. If this is not the case, please sign up at Google first and create a project. 4. 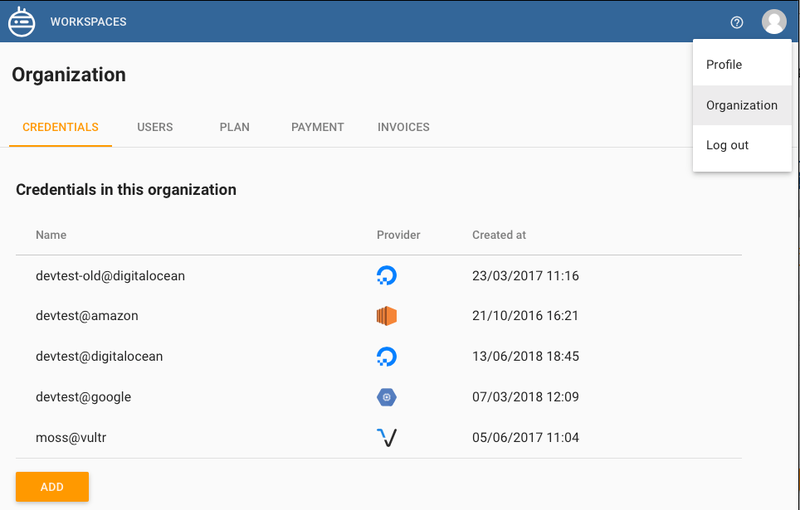 Select 'New service account', provide a name for the account, choose the role 'Project' – 'Editor', check the 'JSON' key type, and click the 'Create' button. Keep the downloaded file safe. 5. 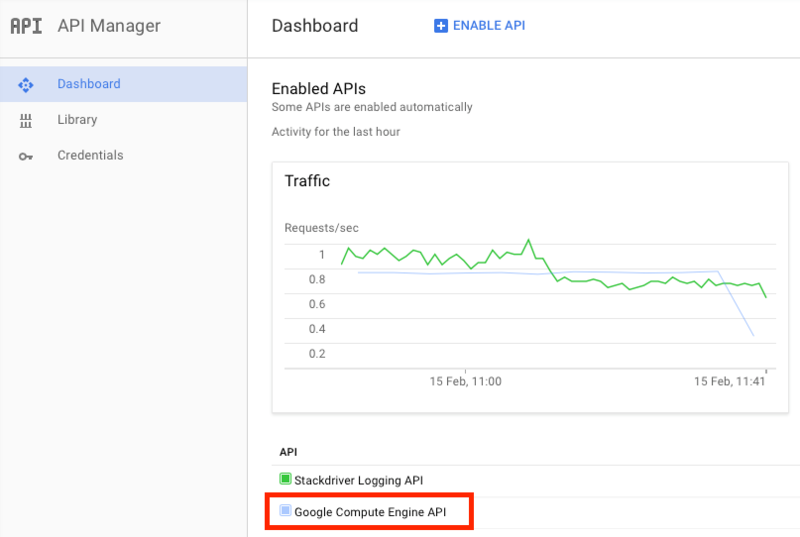 In the 'Dashboard' subsection, check that 'Google Compute Engine API' is enabled. 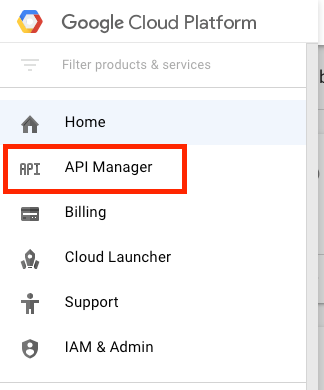 Otherwise, click the 'Enable API' button. Name of the credential in Moss. This is how you can distinguish among different credentials. 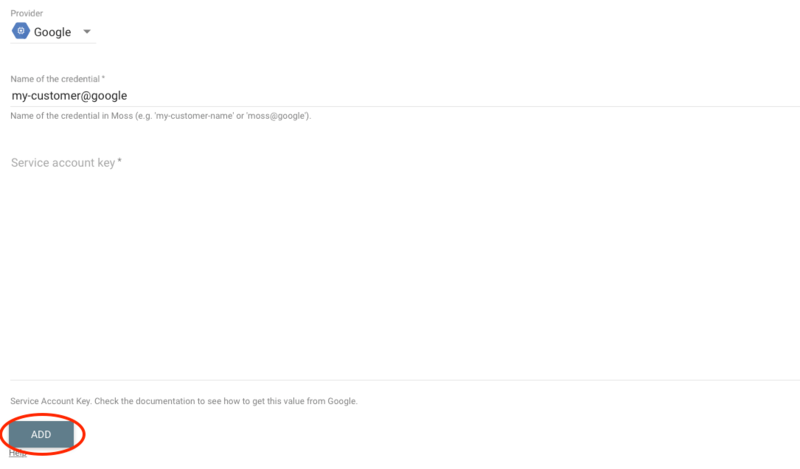 Examples: 'my-customer-name', 'moss @ google'. 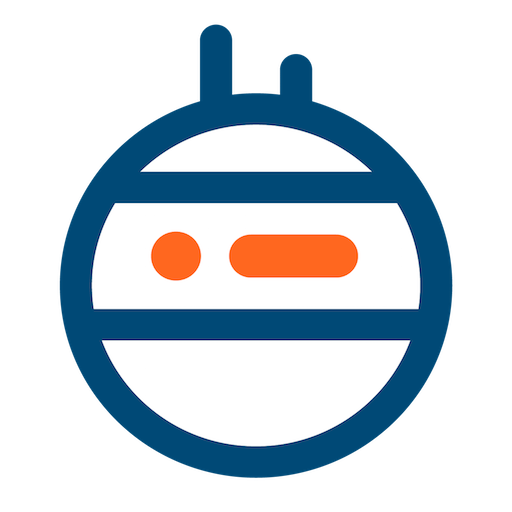 Service Account Key. Copy the content of the file you got in step 4 in the previous section. Finally click the 'Add' button. Wow, you've integrated Moss with Google! 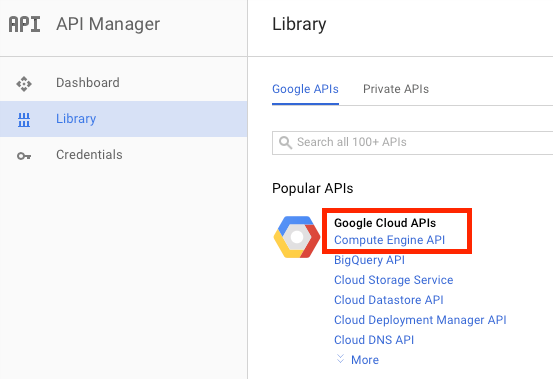 Now you can launch servers on Google Compute Engine using your new credential.